Editor's note: In celebration of International Day of the Girl (October 11) and Ada Lovelace Day (October 14), Leading Women is devoting the month of October to women and girls in STEM: science, technology, engineering and math. (CNN) -- Girls don't do science. If that's the stereotype, then good luck telling that to these women. 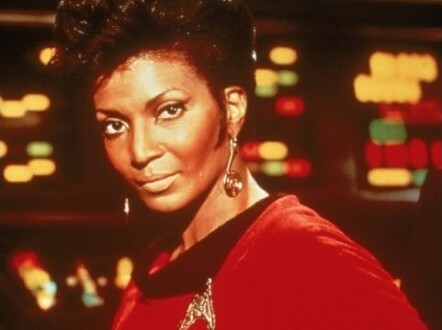 From space archaeologists, to racing car drivers, and Higgs Boson physicists, here are 12 ladies with some of the world's coolest jobs in science, technology, engineering, and mathematics (STEM). But it wasn't always this way. Growing up, some were told "You're OK for a girl," or "If you're beautiful, you can't also be smart." Luckily for us, they didn't take much notice. We take a look at their most inspirational quotes. "When I was in high school, I was certain that being an astronaut was my goal. It was a very important time -- Sally Ride was making her first flight into space and she had a real impact on me. Those 'firsts' kind of stick in your head and really become inspirations for you." But I see an incredible amount of need from other women for reassurance that it can be done, so I don't mind anymore." 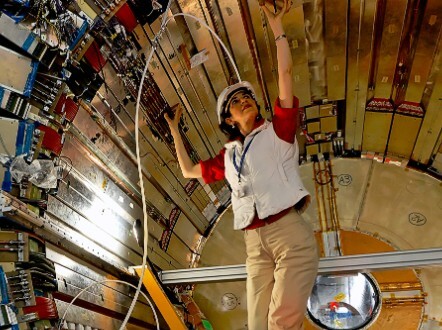 CERN experimental physicist Fabiola Gianotti in the ATLAS detector, 14 April, 2007. "This job is a great scientific adventure. But it's also a great human adventure. "Mankind has made giant steps forward," she said. "However, what we know is really very, very little compared to what we still have to know." "When you put the helmet on, it doesn't matter if you are woman or man: your mission is to compete to win. The important thing is your ability, your intelligence and your determination." "People ask me all the time: 'What is it like to be a woman at Google?' I'm not a woman at Google, I'm a geek at Google. And being a geek is just great. "I'm a geek, I like to code, I even like to use spreadsheets when I cook." "Science is not a boy's game, it's not a girl's game. It's everyone's game. It's about where we are and where we're going. "Space travel benefits us here on Earth. And we ain't stopped yet. There's more exploration to come." "I have never let gender get in my way. "It has taken me over 30 years to get from a garage to the huge campus that we have today. And it's been a long journey." "If you're beautiful, you're led to believe that you can't also be smart,"
"But you can be fun and fit and social and be really smart. And the smarter you are, the more capable you'll be to handle whatever challenges come up in life." "When I was young I was very interested in science and technology, and my dad brought home the first computer. I played pac man and I was hooked! By learning to create technology, girls learn to speak up." "I believe every single woman could accomplish what I've accomplished." "Now we're in an age where technology is mandatory, and we wanted young girls to have this understanding and know how to build an app." "When I was a kid we'd rent Indiana Jones movies on VHS tapes. It inspired a whole generation of scholars because we saw the excitement, and the passion, and the drama. What's amazing to me about archaeology is the stories are even better than what you see in a Hollywood movie." We'd love to see your photos of girls rocking science, with the best images featured on CNN. Submit your iReport here.